Teachers are invited to visit the Museum (free of charge) before bringing a group. The museum can offer special visits by arrangement for parties of school children. Visits last about one hour. The maximum number in a group is 40 with a minimum adult to child ratio of 1-8. The Allhallows Museum WW11 object handling box is a resource that can be used to support school visits and curriculum topics. The box is full of artefacts and activities that help to bring the subject alive. 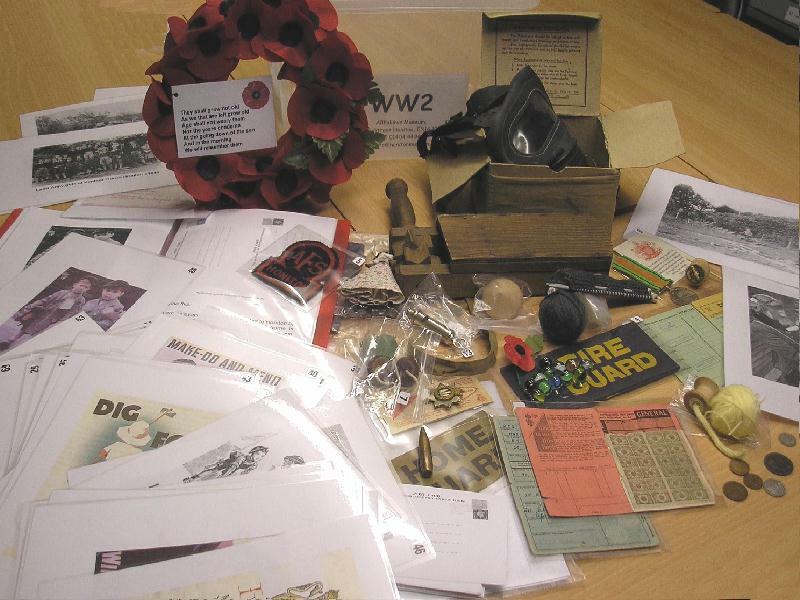 There are 45 laminated images, 9 activity sheets, and an information folder for teachers on topics which include the evacuation to Honiton, the blackout, air raid precautions, the Home Guard, rationing, make do and mend, digging for victory, the Land Army girls, Wings for Victory, remembrance - the poppy and poppy day and Honiton War Memorial.